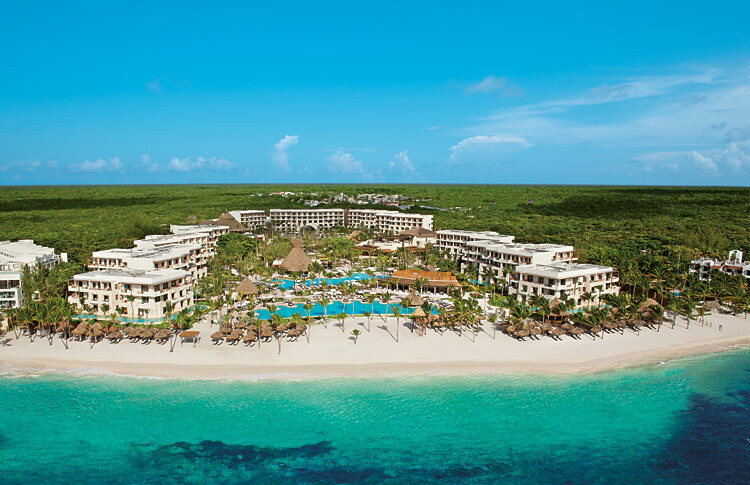 Secrets Akumal is ideally located in the heart of the Riviera Maya along the famed white-sand beaches and calm, clear waters of Akumal. This adults-only resort offers a truly magical Unlimited-Luxury® experience starting with 434 elegant suites, many with stunning ocean views, an expansive infinity pool along with 11 smaller pools, all located nearby the centuries-old Mayan sites of Tulum and Coba. Indulge in 24-hour room service, daily refreshed mini-bar, limitless gourmet dining and top-shelf spirits at nine restaurants and six bars and lounges, pool and beach wait service, nightly entertainment and more. Spend a night out with the Sip, Savor & See Dining Experience at nearby sister properties or wind down with a specialty treatment at the exquisite Secrets Spa by Pevonia. Enjoy the natural beauty of Akumal – meaning “Place of Turtles” in Mayan – by snorkeling off the coast, visiting nearby underwater rivers, or simply basking on the pristine beach. A whole new world awaits at Secrets Akumal Riviera Maya. – Idyllic. Striking. Nature.